When my grandmother gave me a 23andMe DNA test this Christmas, I was excited to discover whether my coffee addiction was in my genes (it is), and to find out if I had any interesting ancestors (I don’t). What I found out instead is that I have an increased risk of developing macular degeneration, an eye disease that causes vision loss — but I don’t need to worry about Alzheimer’s. Now, 23andMe has received FDA authorization to tell customers whether they carry variants of the BRCA1 and BRCA2 genes. Women who carry these genes have an increased risk of developing breast and ovarian cancer, while the men who carry them have an increased risk of prostate cancer. The variants 23andMe tests are most common in those of Ashkenazi Jewish descent (of which I am just under a tenth of a percent). The first time I heard about the so-called “breast cancer” gene, it was 2013 and Angelina Jolie had written an op-ed in The New York Times to share that she was a carrier. Jolie shared her decision to have a prophylactic double mastectomy, the removal of her breasts in order to reduce her chances of developing the same cancer that killed her mother. Since then, more women have had the option to find out if they are carriers, and have had to face the subsequent results. Finding out you have the gene isn’t something to be taken lightly, so what happens when your computer screen reveals you are a carrier? 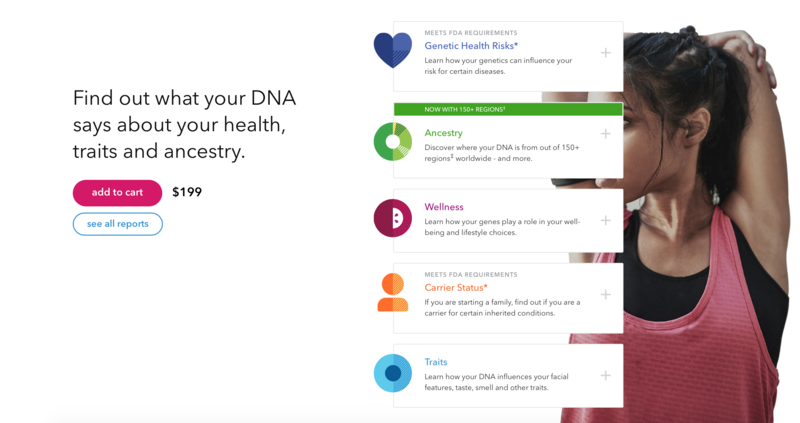 23andMe makes it clear that its genetic health risk reports do not diagnose any health conditions, and they don’t guarantee that a carrier will develop the disease. No matter what your result, keep in mind that the test isn’t comprehensive. “Although this test may help to identify people who have a previously undetected BRCA mutation, there are several limitations and the results may be confusing or misleading without appropriate education,” Erica Ramos, MS, GCG, president of the National Society of Genetic Counselors (NSGC), says in a statement. The NSGC also notes that the 23andMe test only detects three out of more than 1,000 BRCA mutations, so even if the at-home test doesn’t detect any variants, you may still have other BRCA mutations. If you do receive a positive result, you should be retested in a clinical environment. “Genetic counselors can help them be prepared for what the results may tell them, identify other clinical tests that may be needed based on their history, and understand how those results could affect them and their relatives,” says Ramos. Sara Bienenfeld, Certified Genetics Counselor at White Plains Hospital Center for Cancer Care, has mixed feeling about 23andMe’s decision. 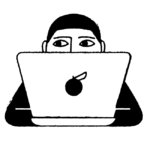 Bienenfeld’s collegue, Yael Sadan Zack, MD, a hematologist and oncologist, has similar reservations, but has hope when it comes to what easily accessible healthcare technology might mean for the future. “I think it is good that the importance of family history and genetics is becoming a topic of greater interest amongst the lay population because it can indeed help us in early detection and surveillance for people who are at high risk,” Dr. Zack tells HelloGiggles. But while early detection is positive, it can lead to mental health problems — like anxiety and depression. In a few weeks, I’ll receive an email letting me know that my BRCA test results are ready. After hesitation and a heightened heart rate, I’ll look. My family doesn’t have a history of breast or ovarian cancer, so while I can only hope I’ll feel relief, a positive result would leave me anxious. Dr. Reyzan Shali is a cancer specialist who focuses on how cancers impact both the body and the mind. She worries about test inaccuracies causing unnecessary psychological harm. If you have a family history of breast cancer, your best bet is to talk to your doctor, perform monthly self-exams, and to follow the recommendations for early detection from the American Cancer Society. And if, like me, you’ve already taken the 23andMe test and are waiting to see your results, remember that whatever you see on the screen only reveals a glimpse into your genes. Take it with a grain of DNA.